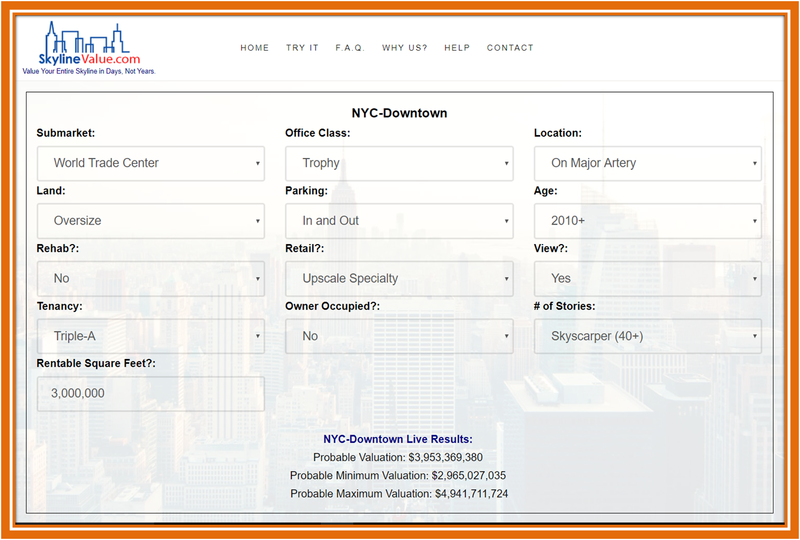 The above graphic represents a sample valuation of One World Trade Center, a trophy office property in Downtown Manhattan (NYC). A trophy property is different from a Class-A office property in that it showcases a major city. While Class-A office properties are plentiful in major cities around the world, trophies are simply few and far between. People recognize them by their name and fame. Even in Manhattan, a handful of office properties are considered trophies. In fact, in Downtown Manhattan, the World Trade Center is perhaps the lone ranger. Trophies generally fetch higher rental rates - both retail (ground floor) and offices than Class-A's in the area. They tend to be architectural masterpieces as well. Empire State Building in Midtown Manhattan needed half a billion (perhaps millions more) in rehab capital to restore it to its old glory. 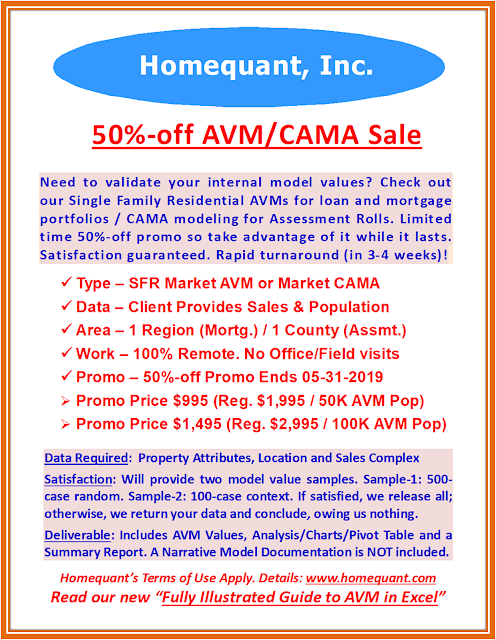 I used SkylineValue.com to produce this sample valuation as I own and operate the site, to avoid having to deal with any copyright issues. The site is mobile-friendly so no additional Apps are needed. It's also totally FREE and NO login/registration of any sort is required. In order to value an office property on this site, all one needs to know is the general location, rentable square feet and a few general property characteristics, all of which are easily obtainable online. Once these data elements are available, users can have the system process the valuation in 60 seconds or less. This system is designed for the Pros and Non-Pros, offering a "Quick Look" valuation and is intended to complement the traditional valuation, not replace it. 80 Major Office Markets in the US and Canada are currently covered.